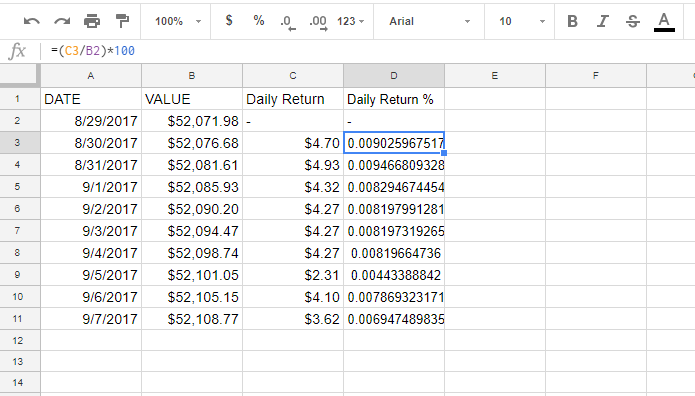 If you’ve been trading for a long period of time you might have been curious to know what your daily returns were. 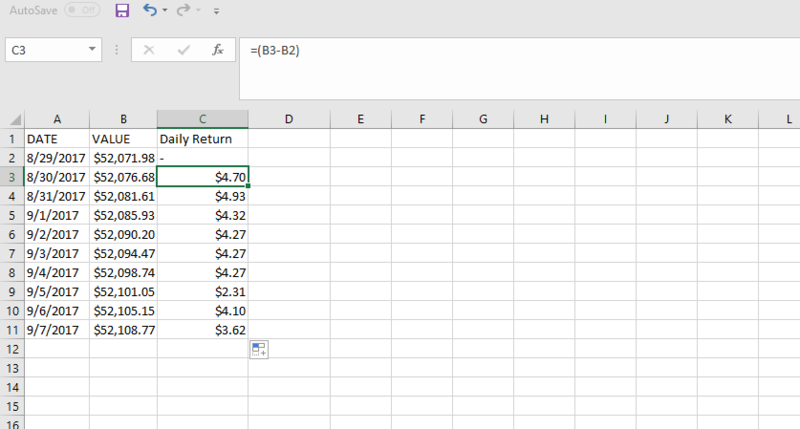 Excel and Google Sheets can help you efficiently calculate this in a simple way. Suppose we started trading on August 29th, 2017. 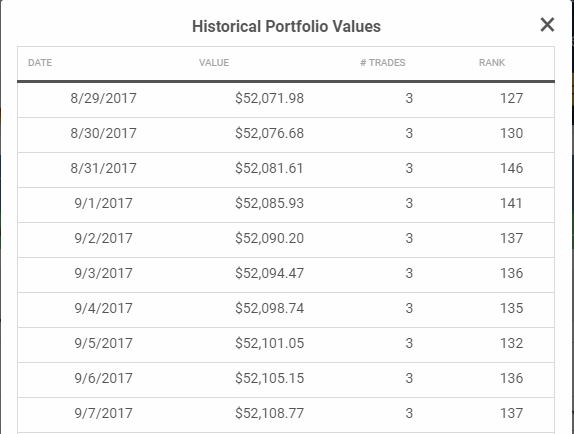 It is now September 7th and we would like to know our daily returns for our portfolio. 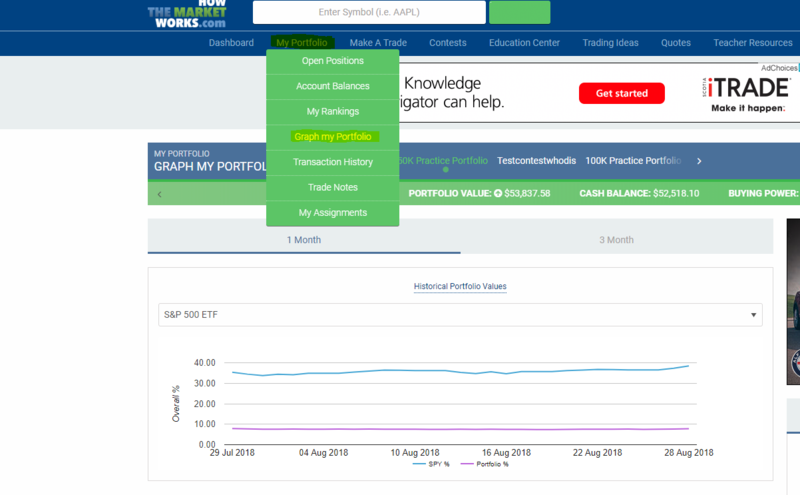 First, we would look up our Historical portfolio values by clicking “Graph My Portfolio” under the “My Portfolio” tab in the navigation bar. 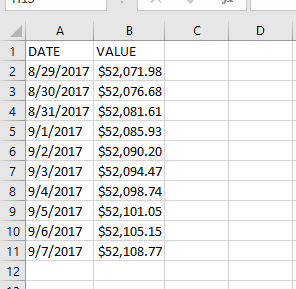 Next, you can highlight everything from “Date” to the last number under “Value”. Then, copy the data and paste it onto cell A1 in your blank spreadsheet. As mentioned in our Getting Some Data article, values may sometimes appear as “#####”. To fix this, you simply need to adjust the column widths. 1 of 3) Where can you find your Daily Returns? 2 of 3) If your values appear as "####" on the spreadsheet, how can you fix it? 3 of 3) Which of the following is the formula for the daily return % ?